Part spider, part Pig, spider-ham is a web-slinging hero that makes bad guys do a triple-take. 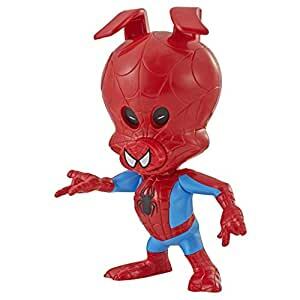 imagine Peter porker hammering it up with the spin vision spider-ham figure, inspired by the Spider-Man: into the spider-verse movie. When kids press spider-hamm’s ear, they can change up his eye expressions and imagine the porcine web-crawling super-pig staring down the villains of the spider-verse. copyright 2017 Marvel. Hasbro and all related terms are trademarks of Hasbro.